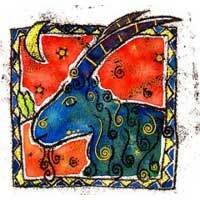 Alongside another Capricorn you tend to make wonderful plans, but without stability. The relationship is not satisfying, though it could be successful if both of you are determined to keep your promises. It could be the case when there are too many in charge and not enough subdued. Obviously this means that both leaders want to give orders and dominate. A decision must be taken concerning this situation, and once this happens the relationship will flourish.